Although it may appear that the roof line woodwork of your home looks bad, usually it just needs some TLC. This either means a long job painting, or, as in most cases the majority of the woodwork will still be sound, cloaking in maintenance free uPVC is the best answer. 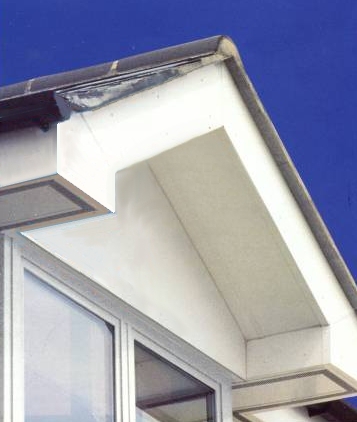 Fascias, soffits, guttering and cladding can all be fitted by South West uPVC in all profile colours. South West uPVC use the best products to give reliability and value for money and roof line products are no exception. All the products we use have undergone various tests which include, surface flatness, UV stability, impact resistance and are also Class 1 fire rated.